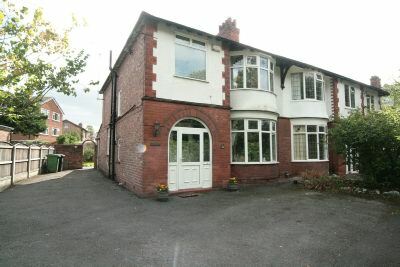 A LARGE PERIOD FOUR BED SEMI-DETACHED FAMILY HOME WITHIN THE CATCHMENT AREA FOR PARK ROAD PRIMARY SCHOOL AND JUST A SHORT WALK FROM SALE TOWN CENTRE. Lounge. Dining Room. Dining Kitchen. Utility. Cloaks/WC. Four Bedrooms. Family Bathroom. Garden. Parking. FURNISHED. AVAILABLE NOVEMBER .